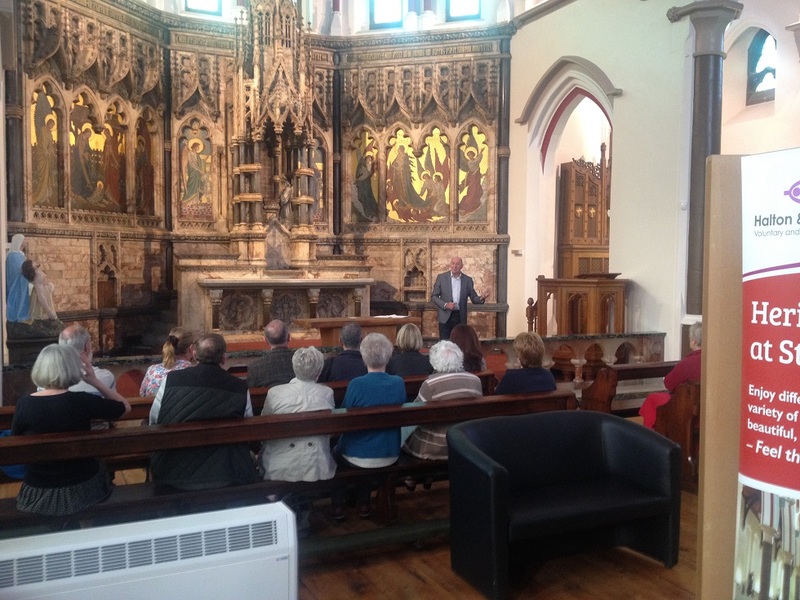 The St Marie’s Heritage Group were delighted to welcome members of the Widnes Family History Society to a special heritage event inside St Marie’s last night. 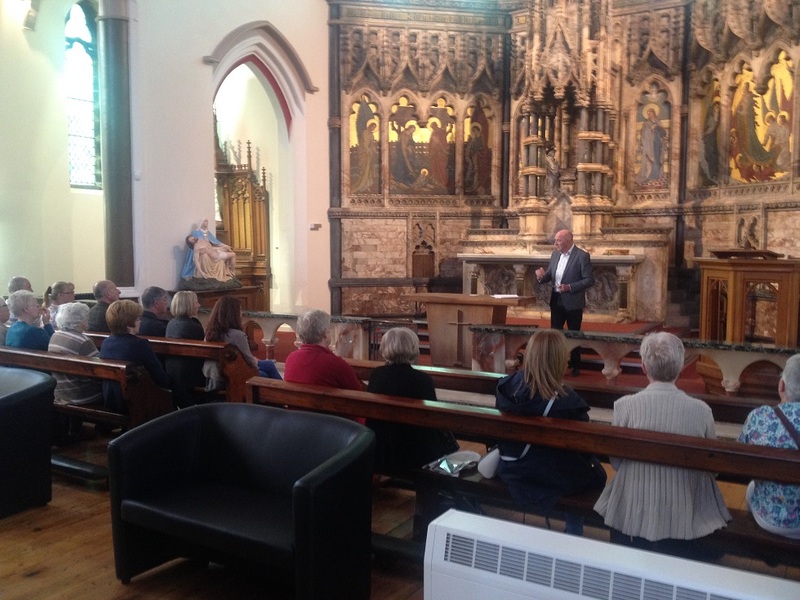 Matthew Roberts spoke about the redevelopment work completed by Halton & St Helens VCA, whilst Roger Harrison talked eloquently about the unifying role St Marie’s played in the local community. 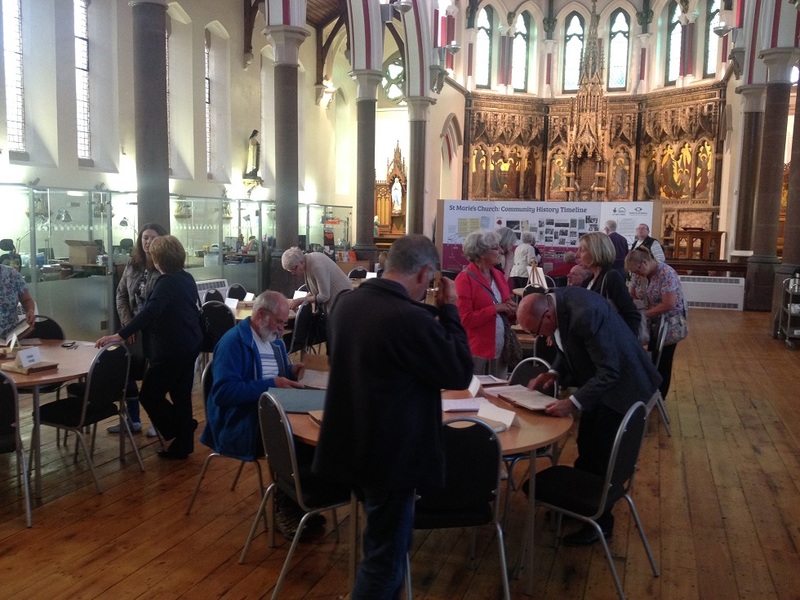 Members of the Widnes Family History Society then had the opportunity to peruse the Mission Logs and search for references to their ancestors. 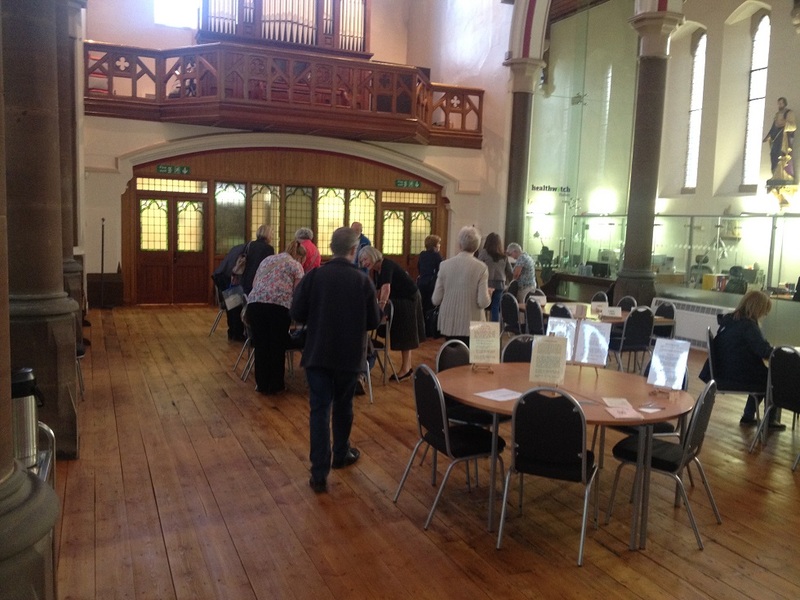 We are very grateful that the Widnes Family History Society came along to the event and we hope they enjoyed it (feedback posted below). We are also grateful to them for their incredibly generous donation, which will be put towards the cost of running future heritage events in St Marie’s in future. Was there anything you particularly liked/disliked? – Marvellous. I liked everything. Fascinating talk on the history & cultural meaning of the church & community. – Made to feel very welcome, really interesting talks & lovely to view the books. – Loved seeing the inside of St Marie’s for the first since 1979! I used to work at the old school in George St and have many happy memories of the area. Many thanks. – Looking at the books and hearing about history of church. – I thoroughly enjoyed the talks, they were so informative. And both speakers were so knowledgeable, it was brilliant. – Rogers talk was excellent. – Cannot think of anything right now?? Well done to one and all! – Please have more open days. Roger delivers his talk on the role St Marie’s played in the local community.